Protection of Forest & Fauna (PROFAUNA) Indonesia is an independent not-profit organization working for forest and wildlife protection in Indonesia. PROFAUNA Indonesia (initially named 'Konservasi Satwa Bagi Kehidupan') was founded in 1994 in Malang, East Java, Indonesia and today has become a foremost organization in Indonesia and internationally acknowledged. PROFAUNA's work includes campaign/advocacy, education, wildlife protection, forest protection, and local people empowerment. PROFAUNA's programs are non-political, non-profit, and non-violence. PROFAUNA is a small organization, yet dynamic in taking direct actions to save Indonesian wildlife and its habitat. PROFAUNA was founded by two environmental activists who were deeply concerned by the rampant wildlife trade in Indonesia. Read more: History of PROFAUNA. PROFAUNA believes that each wildlife species holds an important role in nature and therefore should be allowed to live freely. It is human kind's job to ensure their survival. PROFAUNA strongly opposes those who claim themselves as "animal lover", yet expressing their love by keeping wild animals as pets. If we truly love wild animals, we should let them live in their natural habitat instead of putting them in cages. Wild animals will function better if they can live freely. PROFAUNA's principle in forest issue is that we believe that forest conservation will be more effective if local people are actively involved. A forest is not just a group of trees. There is life in it, including the wild animals and countless unique species. Forests also play vital ecological and social role for human life. PROFAUNA opens an opportunity for community members who are concerned about wildlife and forest conservation to join our movement as PROFAUNA's supporters. Currently, PROFAUNA's supporters come from all over the country as well as overseas. Many among them actively and independently hold conservation events in their cities. It is their lasting support that has made PROFAUNA the largest grassroots organization working for wildlife protection in Indonesia. Read more about our supporters here: PROFAUNA's Supporters. PROFAUNA has established a close connection with the International Primate Protection League (IPPL), an international NGO based in the United States working exclusively for primate protection issues. IPPL has worked together with PROFAUNA in numerous primate campaigns in Indonesia. In addition, PROFAUNA also partners with other international organizations including Turtle Foundation (Germany), SOS Sea Turtle (Switzerland), CEPF (USA), and many others. 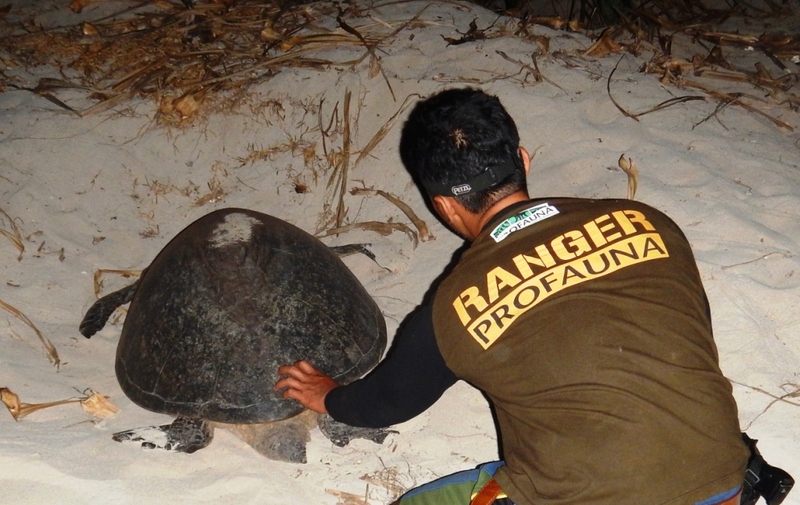 Not only working with international organizations, PROFAUNA also works with local organizations in Indonesia. PROFAUNA frequently conducts capacity building trainings for local organizations or communities working for nature conservation issues. "Wildlife can't speak, but we can speak and take action for them"